An Homage to a Good Year. December was a great month, it is always a busy month due to the holidays and the month where I age another year. This month, I looked back on the year we have had and it was a good year. This site is a huge part of our lives. It is a way to communicate with all of you wonderful people, friends and family. Plus, a way to share adventures, events, product finds and much more. 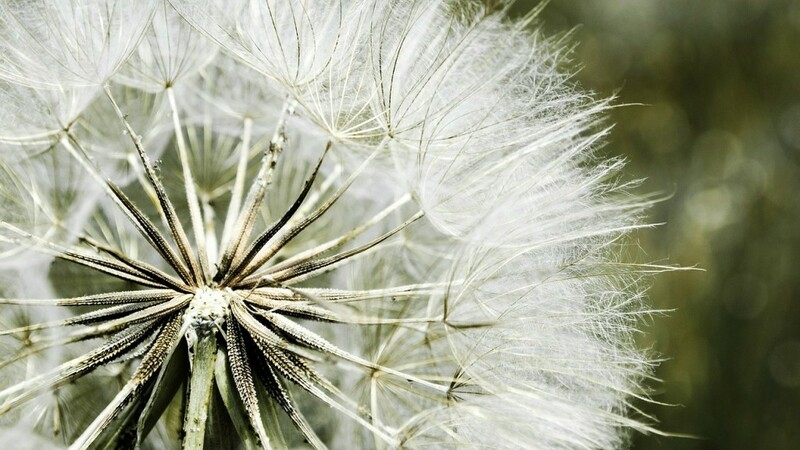 You may have noticed that a dandelion fluff is a running theme on this site. A small breeze can make them float away and softly touch anything it meets in the wind and in essence, I hope the words on this site do too. Thus, Whispered Inspirations. I decided I wanted to add an homage to a great year in our living room. 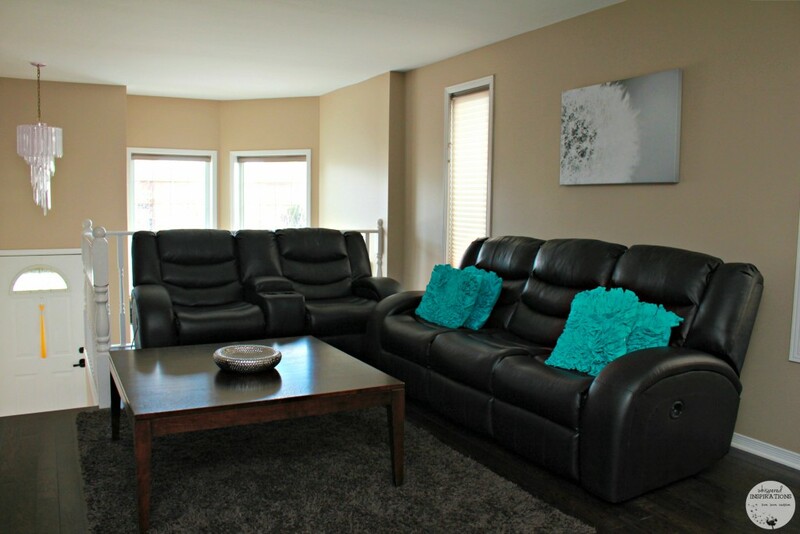 We recently removed our mirror in the living room and we were looking to see what we could add to this space. I decided to check Posterjack to see if I could find an image to turn into a canvas. They have a pretty large Art Shop with lots of options, I typed in ‘dandelion’ and had tons of images to choose from. 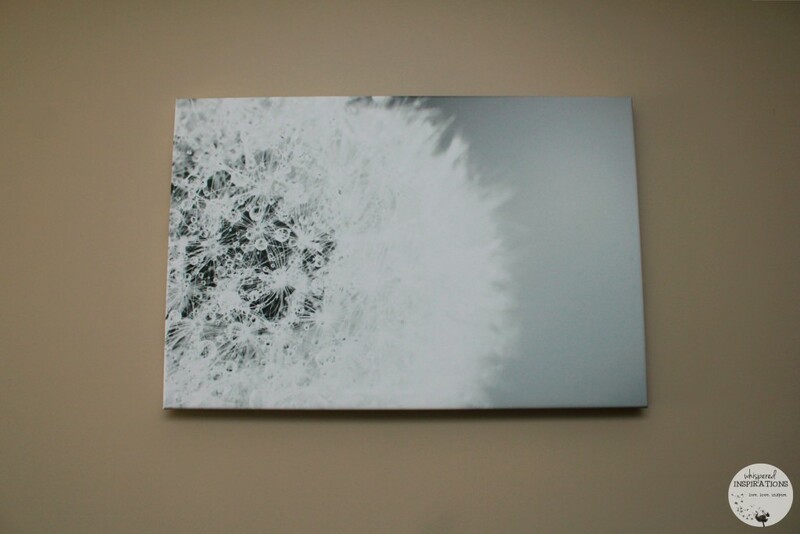 I chose a black and white dandelion fluff. 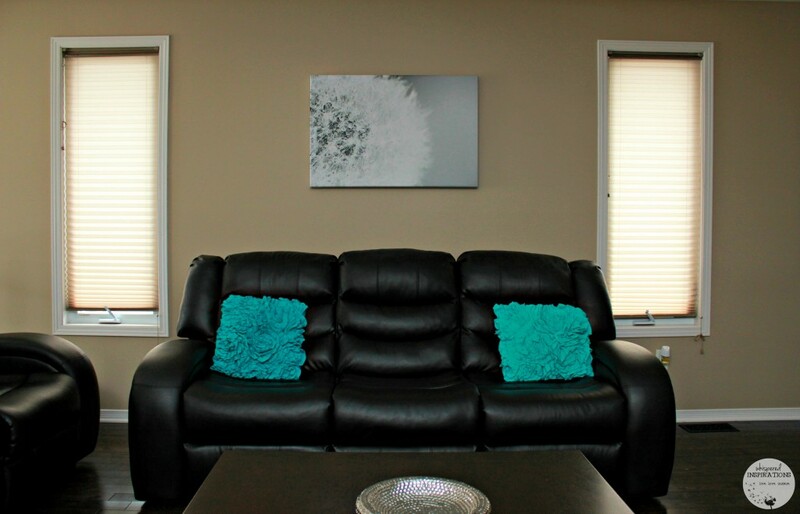 I love that it looks abstract and went well with our walls and decor. I am going to add a couple of sconces on both sides and it will be a perfect way to start the new year in style. December is a month that we all get together. Everyone is off and we get together to share good meals, lots of laughter and good times. We had gotten together with my parents and siblings for some Tex Mex and on our way out, I asked my sister to capture this moment for me. While it was an ordinary day, it was a happy day. Leaving the restaurant after a great meal and being together with our whole family, just made me smile. I thought that the perfect way to display this feeling was to get a Woodstand Print. 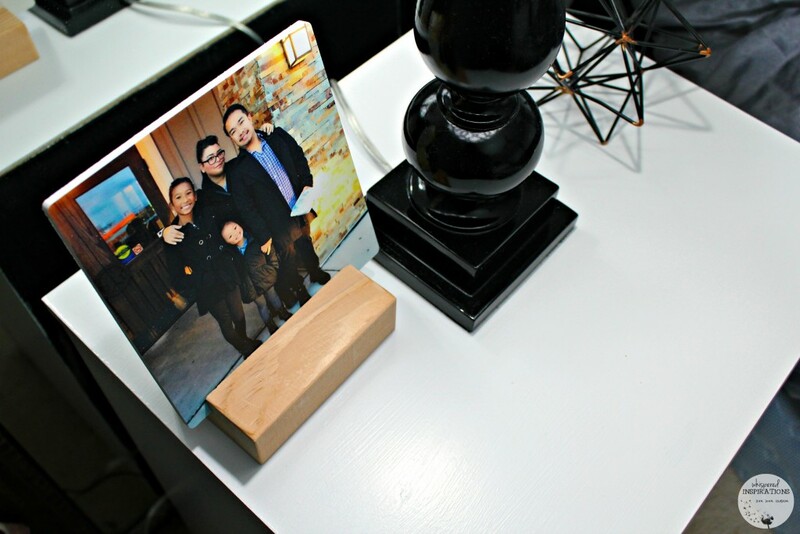 Usually, it is reserved for desk decor but, I thought I would add it to my nightstand. That way, I would see it every morning and every night. The versatile Woodstand is made from select Canadian Douglas fir and renewably sourced in British Columbia. Posterjack planes and sands every stand in-house to perfect proportions. It’s an eco-friendly and stable holder and totally unique with its flat-sawn grain pattern on each end. I think it has found its permanent home next to me. You can get more info about this wood stand or getting a piece of art from the Art Shop at Posterjack.ca. This marks my last captured moment for the year 2015. It has been a journey with Posterjack and the #12PrintsProject. As always, it has been awesome sharing it all with you! Do you get in front of the camera or do you stay behind it? I really like the choices you made the Dandelion is eye-catching point in the room..i love it ! 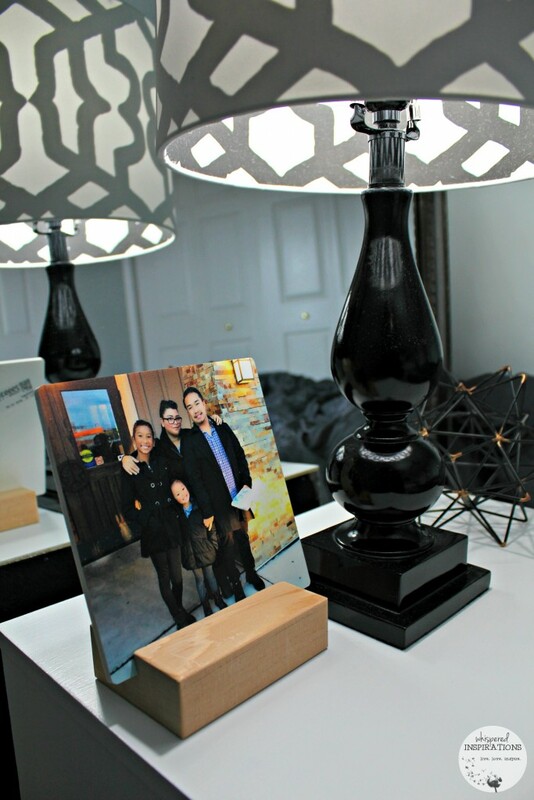 Love the Woodstand Print, great way to show off pictures! I really need to do something with a few of our pictures. I just looked through posterjack – they have such great information. I need to have some canvases done – I'll definitely consider using posterjack! I much rather be behind the camera,i don’t like getting my photo taken! Hehe, me too. I try more now but, still rather be behind! Me too! I’ve been taking tons of selfies with my girls!